R Sundar is the Co-founder & Director of Hi5. He is responsible for the overall direction, scaling, funding and financial sustainability of the organisation. R Sundar is the co-founder of Mastek Ltd., one of India’s early global tech solution companies and Executive Director of Majesco Ltd, the U.S. subsidiary of Mastek. He is also a board member of Sankara Eye Foundation, a US-based non-profit organization that works toward eliminating curable blindness in India. His love for basketball and interest in helping underprivileged children right from the grassroot level were instrumental is the founding of Hi5 Youth Foundation. He strongly believes that underprivileged children lack the infrastructure, direction and opportunity to play and excel in sports in India. ‘Play’ is also a great medium to nurture young talent, inculcate values in them and encourage the strive for excellence. At Hi5, Sundar is responsible for the overall direction, scaling, funding and financial sustainability of the organisation. 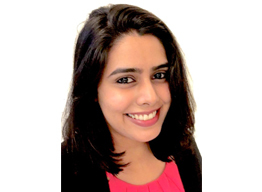 Usha Sundar is Co-founder & Director of Operations at Hi5. She drives and oversees all the activities at Hi5 Youth Foundation. 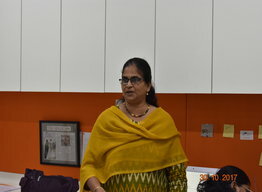 Having been an instructor and volunteer at various social sector organizations involved with children, youth and adult education in India and US, Usha Sundar took up the role of Director of Operations at Hi5 Youth Foundation. She was keen on co-founding Hi5 Youth Foundation because she has always been involved in helping out other NGOs that nurture lives of underprivileged children and basketball is a sport that’s close to her and family’s heart. Apart from managing the daily operations of all the centres at Hi5 and functioning of the programs, she is also personally involved in designing and rolling out the life-skills training to the children with a special focus on empowering girls at Hi5. 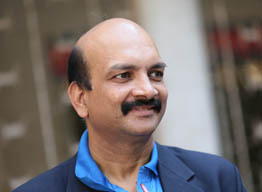 P Ramaswamy is Co-founder & Director of Coaching at Hi5 Youth Foundation. He is responsible for the high quality structured coaching program. 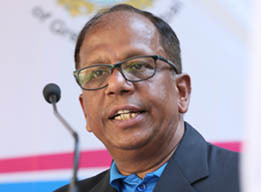 P Ramaswamy, (known as Ramesh and Ramu Sir in basketball circles) has been actively associated with the game the last 35 years—as a student, player, captain, referee and coach. He has represented University of Mumbai and Mumbai North District at state championships and as a captain, he has led his team to famous wins during his time! His inspiration and love for the game comes from his father Shri G. Parameswaran (GP sir), who was the coach of the Indian Women’s Basketball team as well as an international referee. 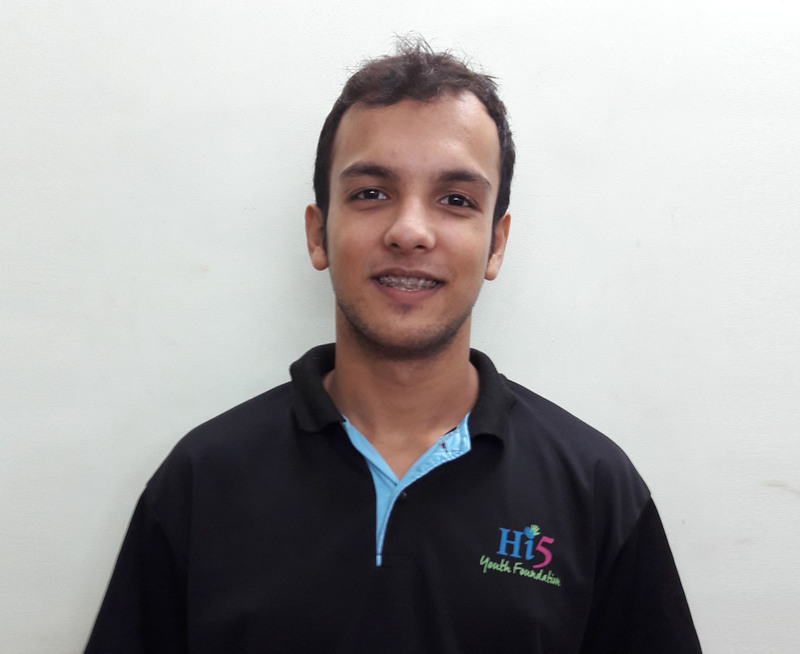 At Hi5, he is responsible for the high quality structured coaching program, that aims to nurture and develop coaches and young players with strong emphasis on fundamentals and a drive to excel. He currently works as the Associate Director, Banking and Fin. Services, at Cognizant Technology Services, one of India’s leading IT companies. 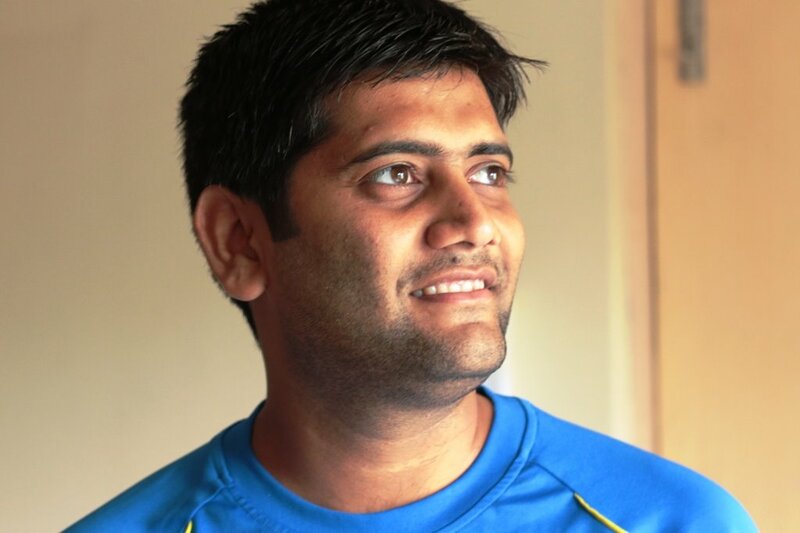 Anshul Jain is a sports management professional with 6+ years of experience in grassroots sports and coach training. 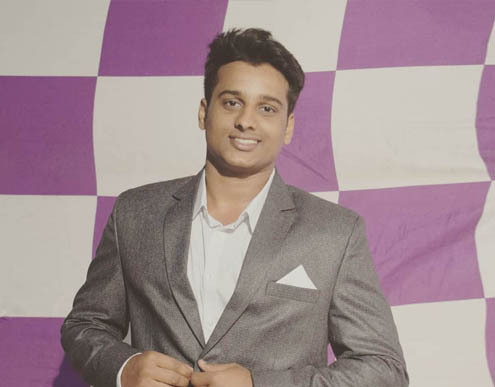 Prior to Hi5, Anshul has worked with companies like KOOH Sports, Box8 and American School of Bombay and has been the co-founder of a sports education company. 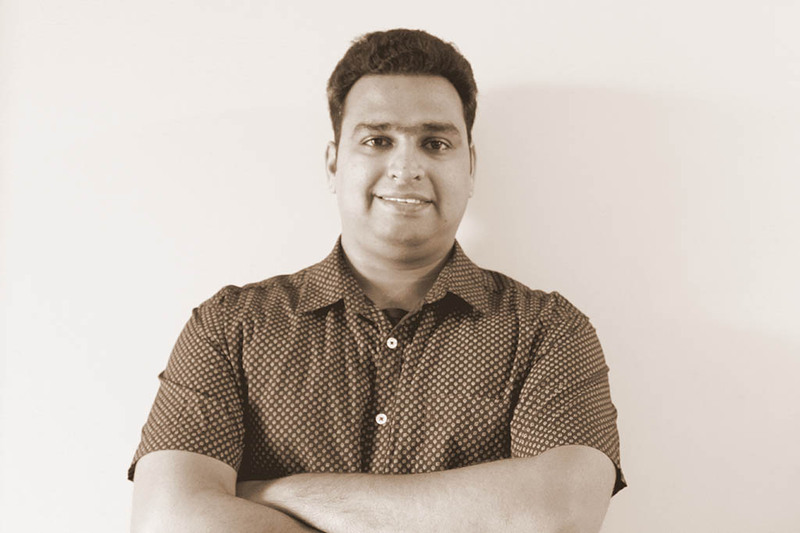 Anshul holds a Sports Management Diploma from Griffith University and an Engineering degree. 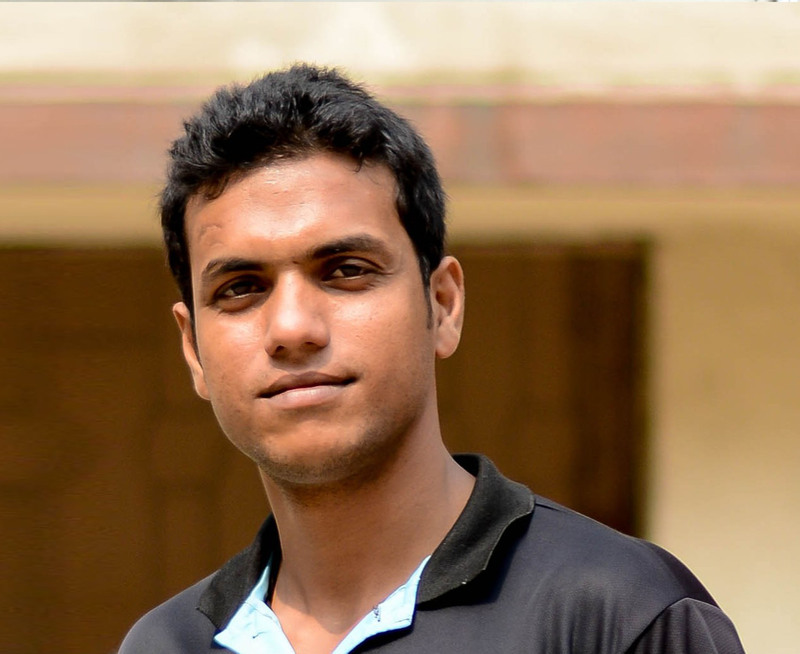 Before joining the sports industry Anshul has worked in education and consulting field for 4 years. He loves spending time on the ground with the children and enjoys playing a game or two of any sport on the weekends. 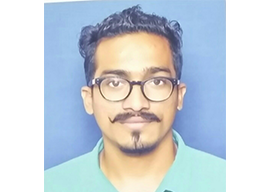 Mayur Pateria brings 5+ years of management experience in various domains including in an affordable ed-tech initiative and as a core founding team member of an art exchange portal. 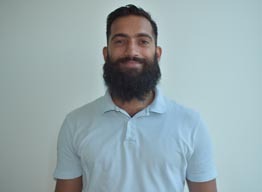 Mayur holds a Masters degree in Strategic Management from Leeds Beckett University,UK and an post graduate diploma in Culture and Media Studies from Tata Institute of Social Sciences, Mumbai. His core skills lies in process designing and he has a deep love for Adobe Creative Suites. He has been an active player on the Volleyball court in college, and also takes interest in hiking and arts. Mayur has worked with 3000+ children on career orientation programs across Maharashtra. Gurpreet Somal is a published writer & poet and a social impact sector communications professional with over 9+ years of diverse experience. With a Masters (Scholarship) in International Broadcast Journalism from Nottingham Trent University in the UK, she strongly emphasises on creative communications meeting innovative philanthropy. Prior to joining Hi5 Youth Foundation, Gurpreet co-authored a poetry book (as part of a global collaborative project), handled celebrity management & animal rescues, completed a prestigious Performing Arts workshop with world-renowned communications coach Ron Burrus, worked in a film production house for 2 movies, taught tribal children English & Social Sciences for a month in a tribal village called Ambatha, directed a short film on the Mumbai Terror attacks and was Organising Committee President at AIESEC where she ran her own project called "Genesis" through which she facilitated public awareness on sustainable development and grassroot problems, as well as created key symbiotic partnerships between NGOs & CSR portfolios of companies. In her free time she likes to learn French & Spanish, read science fiction & self-development books, indulge in photography, watch thought-provoking cinema and write on diverse topics. 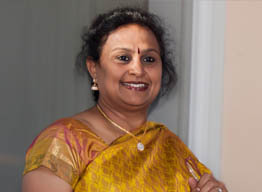 Supervisor Jayanti is a supervisor at all western centers of Hi5. She is a fun loving person, her smile lights up every child in Hi5. She is very professional and caring towards children, which brings up the energy and the confidence of the latter. She has been a basketball player since childhood and has played at school and university level matches. For her working with Hi5 and the girls especially is her dream come true. She feels blessed to have been given this opportunity and loves to share her knowledge and wisdom with the kids. She dreams of Hi5 children playing on a national level representing India and making the country proud. She is especially attached to the Hi5 girls and wants them to work hard and see them at an Asia level or Olympics. Ravi has been a part of Hi5, right from its inception. According to him, Hi5 Youth Foundation is different from other organizations as it doesn’t aim to change the society at once but rather adopts a continuous approach for bringing about long term change. He believes in the power of sports and its success in creating a positive impact on the society. 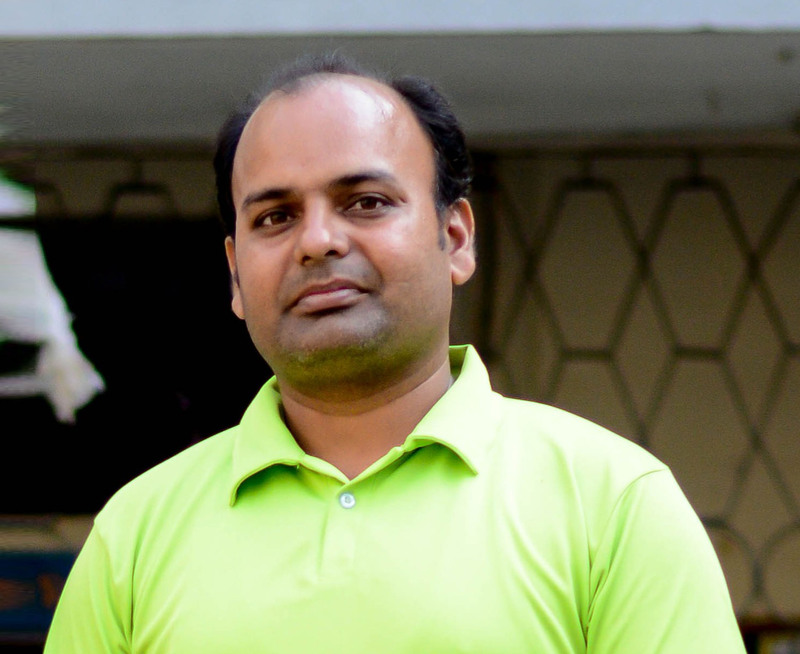 Prakash has a Master’s degree in Social Work from Swami Vivekanand Subharti University. His first stint in the field of social work was with Jan Kalyan Foundation. He is inclined to work for the underprivileged and decided to join Hi5 Youth Foundation to help young students get access to a better life. Along with his passion for social work he also loves cricket, history and politics. 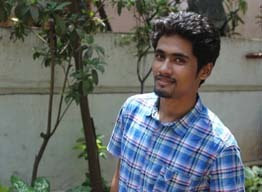 Aditya Rai is a die-hard basketball enthusiast and NBA follower particularly Miami Heat. He finds his passion on the court and loves to watch kids prosper through a sports program. Prior to Hi5, Aditya has assisted Jr. NBA Basketball program and also played an important role in coaching young groups. He has also worked with the Jamnabai Narsee International School as a Tournament Director for IDBP Liga and has organized the 3BL Pro Basketball League clinic in Mumbai. 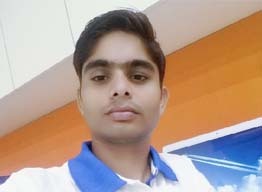 Vishal holds a Bachelor’s as well as Master’s degree in Social Work and has been working in this sector, with young children attending to various issues. He chose to start working with Hi5 because Hi5 works differently with underprivileged children as they’re using the game of basketball to increase their quality of life. They are giving them life skills education and the students have visibly changed. He appreciate that because social work has different strategies to work with children and using basketball is a great medium to interact with them and make a difference. Vishal believes there are many kids who do well in sports don’t have the opportunity to develop themselves. He hopes to motivate them and make them realise the importance of sports and empower them to do better through this work. 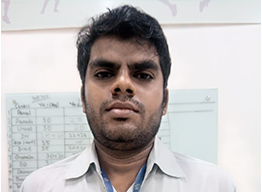 Vinod Mhaske is a M.Sc graduate from Dr. Babasaheb Ambedkar Marathwada University. Post college, he started a free coaching centre for rural youth groups in his home-town and also was an active member of Light of Life Trust where he worked on two projects - Anando & SFSEP. He is passionate about education and has dedicated his life to counseling children and teaching them values and life lessons. 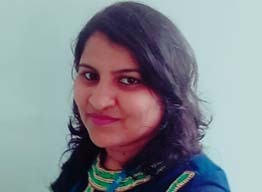 Komal credits her management and planning skills to her learnings at her recent undergraduate education in social work. She likes working with children and help them develop necessary skills. She hopes one day she can change the society’s behavior and their thinking towards humanity as a whole. 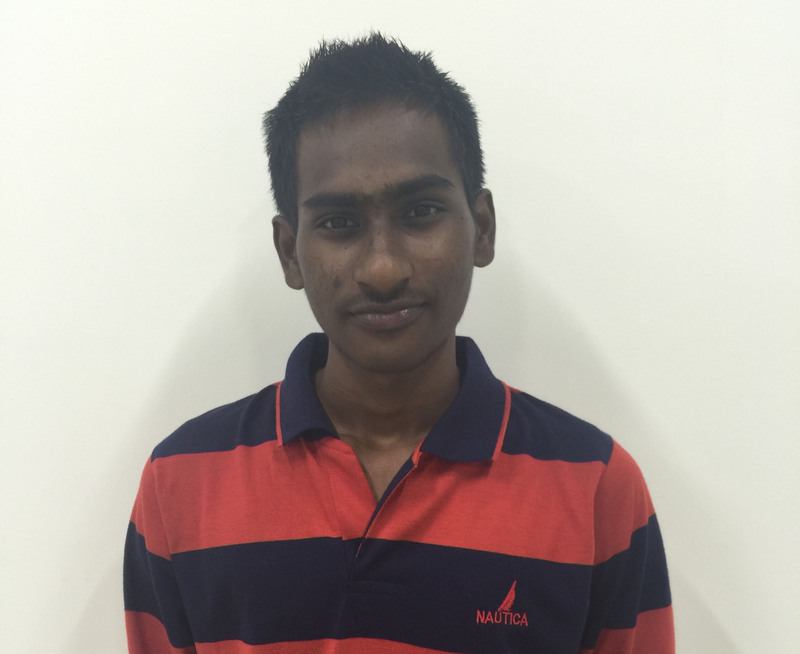 Komal believes in teamwork and hopes to excel at Hi5. Komal herself comes from an underprivileged background and believes her honest work will take her places! 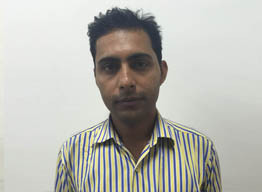 Sunil Verganti is a certified social worker from Nirmal Niketan College of Social Work. 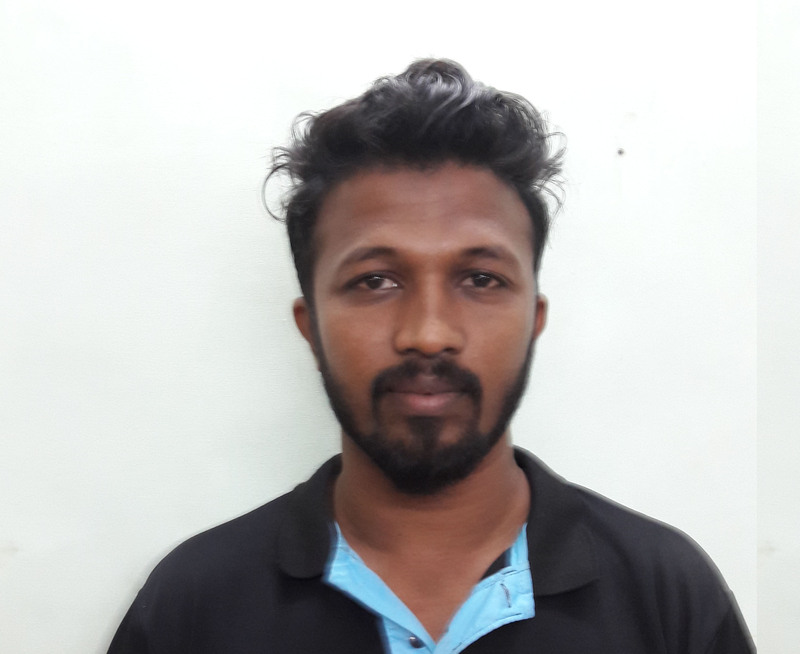 Prior to Hi5, Sunil has worked as Training and Monitoring Officer for Magic Bus India Foundation as part of their livelihood programs. He has on-field experience of working with disadvantaged youth along with Ernst & Young Foundation. In addition to this, Sunil has also volunteered for Vikas Santha and Janta Jagruti Manch for more than five years, serving children & youth groups, providing them with livelihood training, education and scholarships. Anil is the backbone of our everyday operations at the office! He is Hi5’s go-to guy for office-level administrative problem-solving. He helps in managing the office and keeping it presentable and resourceful for all our visitors. Anil believes in Hi5 as an organisation and loves working in an our environment where everybody is treated with love and respect! 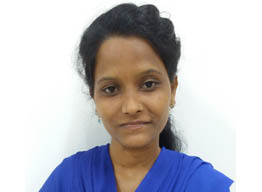 Harshada works with Hi5 in the capacity of an accountant & office administrator. She has always wanted to extend her professional efforts in an NGO since her childhood so she chose to work with Hi5 because she believes the organisation is brightening the lives of underprivileged children and secure their future by training them in basketball. She believes that basketball can be played by anyone in many different ways; playing basketball builds friendships and connections on and off the court and playing as a team is the only way to succeed and win. Sportsmanship and having a good attitude makes playing the game enjoyable! Even though I was passionate about the game, my parents didn’t support the idea of playing basketball professionally as a career. In fact, when I was young, they didn’t even know I played basketball for those many insane hours! Academically, I studied engineering and sought a job in my field itself later. Although I didn’t find a job that was well paying and according to my requirements. I even tried my hand at entrepreneurship but it didn’t work out. I never stopped playing though and one day, when I was playing at a center close to my house, Mr. Lohe from the BMC saw me coaching other players and approached me to coach students part-time. Initially, I refused because I didn’t see myself as a coach. I didn’t think it was something I’d be good at. But after sometime, I tried it and loved every bit of it! When I got introduced to Hi5, it was a blessing! Their curriculum approach to coaching basketball showed that they were serious about coaching. They also invested time in teaching the coaches and giving them a support system that enables them to do better. I am now a part of testing and designing the curriculum as well as coordinating with other coaches. We measure everybody’s performance on a common scale and method. This is now my full-time career considering we’ve been successful and are scaling. Plus teaching these kids is a joy. They are aware of this opportunity presented to them and learn the sport seriously. I am happy that I am finally doing something I think I was meant to do. As a coach, I get the respect and I also get to do play basketball every day, my vision matches with the leadership, what more can I ask? This is like a dream job for me! Coach Hailing from an engineering background, Akash always had an interest in basketball and started playing at a very young age of 12 years. He is passionate about the game - lives and breathes basketball. 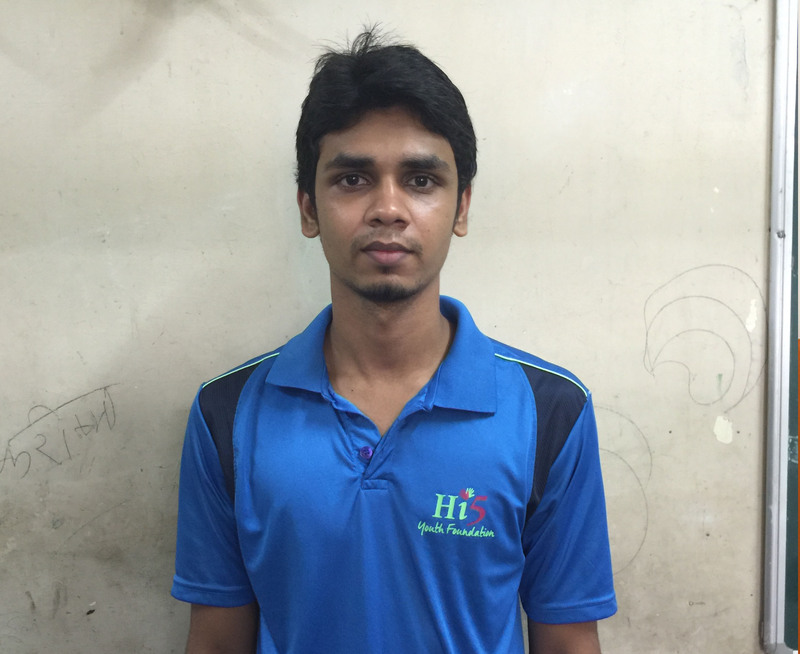 Akash has worked in 2-3 companies and he is extremely happy to be part of Hi5 now. 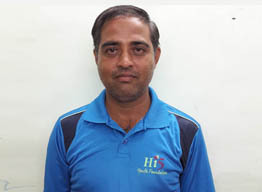 He believes Hi5 is a unique NGO, which works for the welfare of kids through sports. He believes the kids from big schools just play to pass time while the kids under the Hi5 regime are brilliant and understand the value of the sport. He feels Hi5 children will pursue basketball as long time career. He has a vision that there will be a rise of basketball in India and soon there will a league dedicated to basketball hailing in India. Akash loves to coach the kids as they are extremely interested in the sport and are quite serious about their practice even in scorching heat. Someday he wants to see the Hi5 kids drafted in the NBA India program. 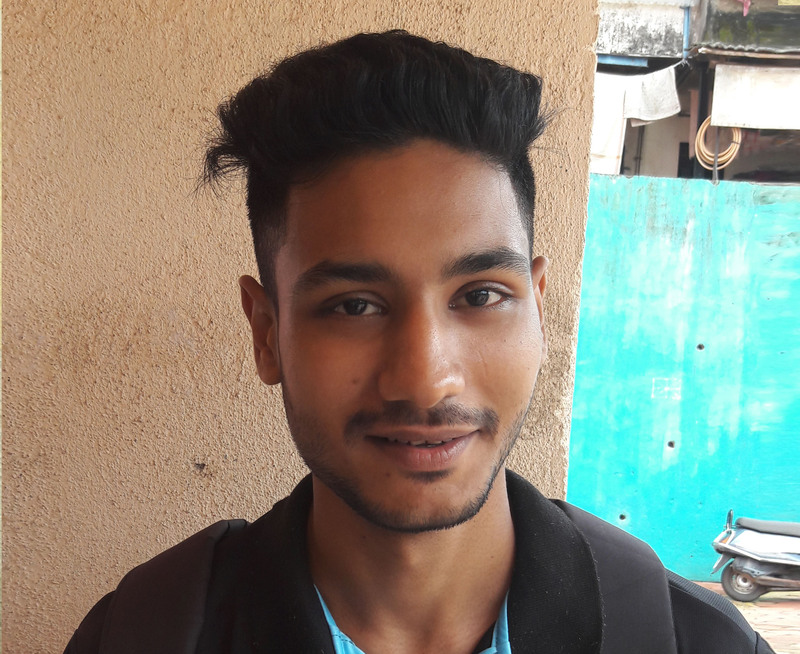 Pawan started playing at the age of 7 when he first got introduced to basketball at AVS club at Dombivli by the age of 9 he then got a place in team of U/14 category. Throughout his basketball career heparticipated in 6 inter district championship 5 for thane district & 1 for Mumbaicentral but couldn’tmake it through state team. During a match for U/18 category he had an injuryand was asked to rest. But he couldn’t resist himself going on to the field and started coaching 4thStd children nearby. He was introducedto Hi5via one of the other coach at Gymkahana and his good friend Edward, and he started his professional coaching career with Hi5. He truly enjoys coachingchildrenon basketball and is proud of being representedas Hi5 coach. When I came to junior college, I was hooked to the game. I only played basketball the entirety of 11th grade. In fact, I chose to pursue Commerce because everyone around me discouraged pursuing Science because I would then have to study a lot and wouldn’t have been able to play basketball at all! My parents didn’t restrict me for anything really because I would scrape average marks even if I was playing basketball all day. As long as I was doing well and good work, they were happy with me. There is an NBA player, Steph Curry, who is my all-time favourite basketball player. Watching him play is how I have learned a lot about basketball as a game. Before I had watched him, I didn’t even know that something like a 3-pointer existed! When I was in my first year of college, I had coached at a private organization but they were not serious about coaching so I got very disinterested in it. But I didn’t want to quit basketball and I got introduced to Hi5 through Ramu Sir at the same time. I never thought this would become by full-time job when I joined but the more time passed, the more I was attracted to becoming a coach to these kids. Because they’re brilliant, these BMC kids are way responsive when compared to other privileged international schools and even better than the BMC school kids are the children from the tribal school in Vajreshwari! I was very young when I was introduced to basketball. I started playing when I was 7, in Nagpada near Mastan YMCA. Every child who belongs to that area only knows how to eat, breathe, and sleep basketball! It’s free, which makes a lot of difference for young talent to grow and flourish. I have given a lot of years to the game and come with the knowledge too. 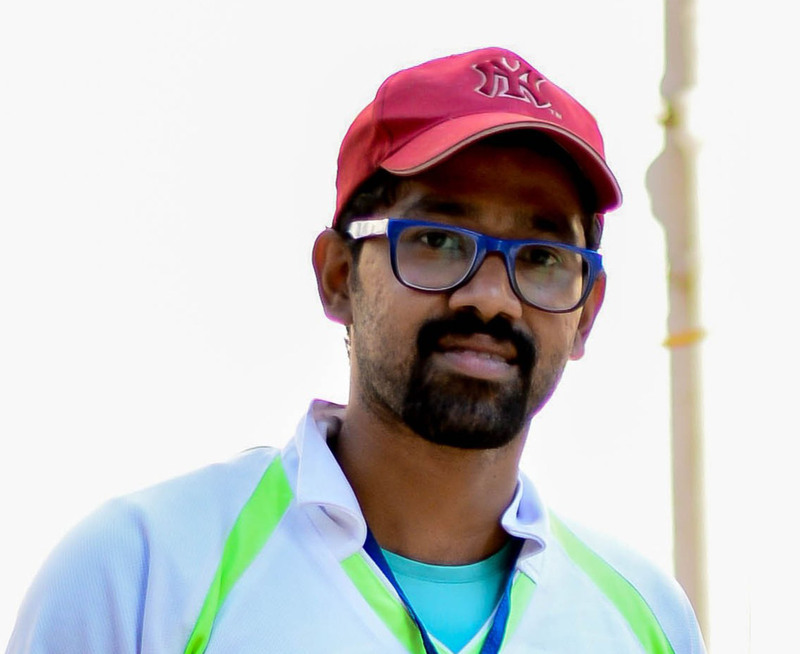 I used to play from Mumbai South-East area at the district level and then played state finals for Maharashtra. 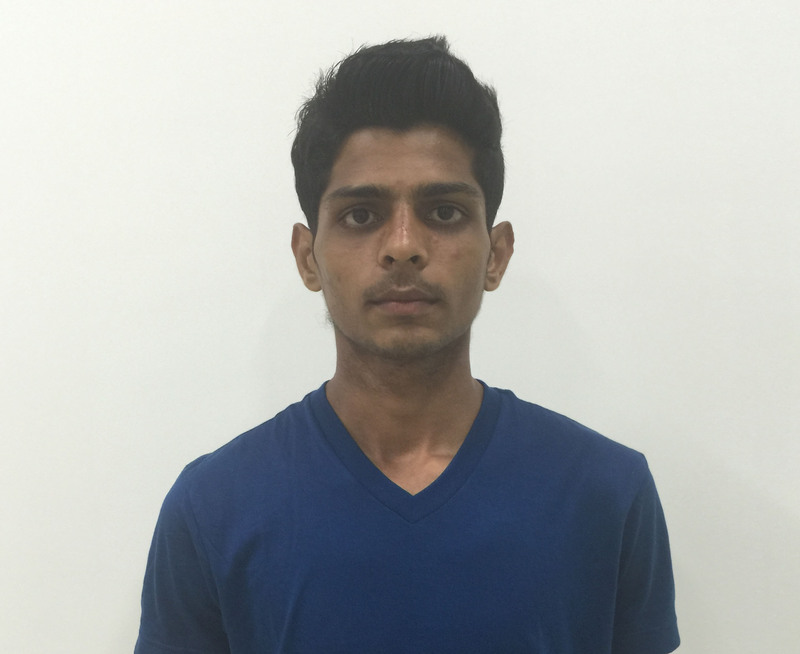 I was also selected for the Indian team camp in the Under-16 category, but couldn’t make it to the national team. Basketball is a very under-represented and unpopular sport in India. Here, people only have cricket on their minds. Even at a federation and government level, basketball is given zero importance. I believe I would have been more motivated to pursue a career in basketball if the infrastructure and resources for the game existed. But life makes it turns and I got introduced to coaching when I was 18. I’ve worked at different schools and organisations in Mumbai to train school-going kids but none of them were satisfying jobs. They had a lot of restrictions and would change coaches for the teams constantly in the fear that the coach might start privately coaching them. I joined Hi5 primarily because their philosophy matches with mine—teach one team fully and take them to win a tournament. Coaching at Hi5 is rewarding in so many ways. I get to teach children who don’t have the opportunity otherwise and don’t come with any air about themselves. They’re genuinely interested in the game and I can see how much they’ve improved. When they come running to me with a loud, “Sir, sir!” after winning a match, it’s a different feeling of proud altogether! I am from Nanded and came to Mumbai to live here far away from my family, only for basketball! In our town, wrestling, kabaddi, volleyball and cricket were popular. My brother himself is a national-level wrestler. So, basketball wasn’t something we had heard of much. I started playing basketball just for fun and within two months I went to play a tournament! I’ve played until national camp several times, from under-14, under-16, under-17 but unfortunately didn’t make it to the national team. So, during my under-16 tryouts, I got my younger brother introduced to Basketball. I coached him quite vigorously I think, I was quite hard on him. He was 11 when he won the first gold medal for his national team performance playing for Maharashtra! I was 11 when I started. My brother dreamt that I would eventually join the Sports Authority of India and I did. I got an international platform there and started playing nationally. A few years later, I eventually decided not to continue to play professionally and came to Bombay to further my career in coaching. I started going to college to complete my graduation and then do a physical education degree. Coaching is quite messy in Mumbai; schools just wanted us to entertain the kids for an hour instead of teaching them. Once I met Ramu Sir, everything changed and I feel like all this effort I have made in my basketball career, I can finally put to use and coach honestly at Hi5! In fact, I have improved immensely after joining Hi5 and that’s humbling! It’s now been 15 years since I have been playing the game. I followed the trajectory of starting from local Mumbai level tournaments, to district-level championship and then state-level tournament to the Indian camp. Unfortunately, I didn’t get selected in the national team of India but continued to play many other tournaments. My father never liked my interest in basketball initially, he would have rather that I studied harder and did something else professionally. Also, probably, because we knew that basketball has a lot of politics at the bureaucratic level. Coaching happened to me in the time of need. After I got married, I started my own hotel business, which didn’t work and went into loss. One of my friends was working with Hi5 at the time and introduced me to this program. Because I had years of experience training kids at the Mastan YMCA, Hi5 happened and I am grateful because now I have a steady job in something I loved doing. Even my father seems to have come around considering basketball worked out for me. But at YMCA Mastan, we taught kids based on our experience. Once I came here, I realized I have a lot more to learn about coaching. I enjoy coaching immensely. When I moved houses from Deonar to Mira Road, Sir suggested that I could teach in another centre closer to my home but I refused flatly because Deonar is my team and I love those kids like my own. I want to train them till the end, till their entire program is over and hopefully even after that. The kids also show so much affection—planning birthday parties, surprises and the way their face lights up every time you walk into the court, it’s priceless! They’re also serious about learning and pay attention when I am teaching, which is rare for such young children. Basketball gave me an identity. People know me, and my person, because of the game I played. I feel privileged that people thought playing with me was an event they cherished. There are players in basketball, who are as tall as 6’5’’! So I feel happy that even at the height of 5’6’’, I could achieve a name in basketball! My father, who everyone knows as Ramu Sir, encouraged me to try basketball and put me in district teams. He breathes, eats, and sleeps basketball—it’s his life! His passion also comes from his father, who was a former coach of India’s women’s basketball team. So, I gave it a shot and after a year of playing, I started enjoying it a lot more. I see value in basketball as a game primarily because it encourages teamwork. The team chemistry on the court and off the court is quite exemplary. It helps form a community of players who enjoy playing the game for what it is and respect one another’s game, which in sports, is rare to find. The game changes a person’s personality altogether. You stop focusing on I, me and myself and start thinking about how to win as a team. Basketball distinguishes itself from other sports because of this specifically. It’s new to Indian sensibilities and I think that it can make a lot of difference in people’s approach toward sports. At Hi5, all the coaches are senior to me with incredible experience and I really enjoy learning from them. I look up to Anoop, who even though was a handball player took away two trophies in the tournament for his team. He’s worked hard to become a good basketball coach and that’s inspirational. Vignesh, Kevin and Zoheb are also great, especially Zoheb, who has a lot of experience playing basketball. He treats the children as his own and really makes an effort to make a difference. I’ve learned a lot from them about coaching as well as basketball. Even though I started coaching at Hi5 as a part-time effort, I can now see myself seriously considering continuing once college starts too! “I was probably 14 when I started playing basketball in school. There are a lot of other sports that are popular in India, like cricket and football and I have played them when I was younger too but, somehow, I am attached to basketball. To be on the court all day makes me incredibly happy; to be connected with the ball all the time—it makes me feel complete. My journey with basketball didn’t begin with the dream of playing state or national level, I just wanted to play! Eventually, I started playing for Indian Gymkhana and participated in tournaments because I genuinely enjoyed it. I went for a basketball coaching camp at Elevate academy in my second year of college, where I learned how to coach and also got better at the game. 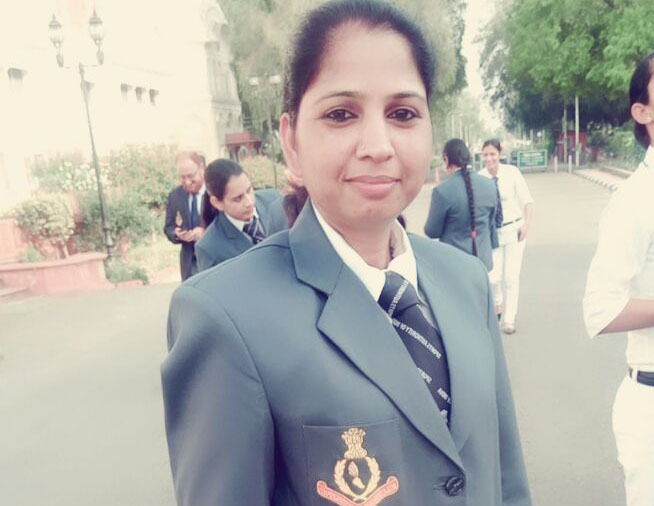 I was coaching under someone who was in the Indian Navy and I taught kids above the age of 6 for nearly two years, it was then when I realized that I really liked coaching and had an aptitude for it. Vignesh, one of my colleagues here, and also my senior at Indian Gymkhana, introduced me to Hi5. Teaching these kids has been phenomenal. They’re full of energy, they’re enjoying playing the game, which is so important, and they’re also serious about it. They want to do something in their lives and they’re ready to work hard for it. My elder brother, Rakesh, is a national-level hockey player and my journey with sports began with him. I played basketball for the first time in Agra in school. I also played cricket, hockey, and basketball all at once and didn’t have time to study at all! 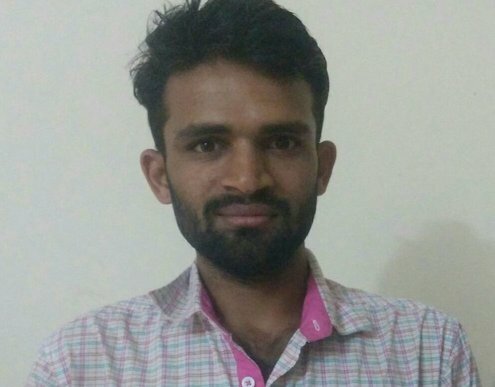 I came to Bombay hoping to secure a Railways job. It didn’t work out and I started looking for coaching jobs in basketball because it was taught in international schools. Through this social circle, I was introduced to Lohe Sir from the BMC and he took me under his wing. So, before I joined Hi5 I had been coaching in BMC schools for nearly 7-8 years. I am absolutely passionate about the game because it promotes teamwork. When I coach basketball to young kids, that’s the first plus point I see in them. They develop an attitude to work in a group and play for their team instead of themselves. There is no discrimination in the game according to me, everybody has a role and is treated equally in the game. But, the sport doesn’t get its due, like many other sports that are incredible games but aren’t highlighted by the media. There is so much hype around cricket that no one even knows if a hockey championship is ongoing. The media would rather write about the love lives of cricketers than write about other sports and games. There’s also no money in basketball. All the money goes to cricket federations, then how will players move up the ladder? When I joined St. Arnold’s junior college, the first thing I did was ask the sports coordinator if I could join the basketball team. He told me that it was very difficult to get in and asked me to report to him at 6 30 am the next day for trials. There was not a soul on the court when I reached. A few minutes later, Sir came and told me that he was just testing my dedication and punctuality. There was no basketball team at the college! He then requested me to form a team and said I would have his complete support. Thus began my basketball journey at St. Arnold’s. I selected a few interested students and we started playing for the college. I never thought I would start coaching so soon but coaching came very naturally to me. Later at the Jr NBA coaches program, the coordinator encouraged me to pursue this as a career option. They gave me a coaching method and that’s when coaching became a reality for me. Basketball has also made me very independent and I am living life on my own terms, which is quite empowering. I want to do something extraordinary in life and not become part of the routine that this billion population follows. Basketball changed me completely; I was an extremely mischievous child and had to change schools constantly. I would get angry very quickly and my temperament was never in check. But after I started playing, I channelized all the anger and have become way calmer in life. People didn’t believe in me because of my behavior and assumed a lot of things about me, which demotivated me a lot. But now that I am doing well, I very satisfied with the life I am building for myself. I am keen to go abroad, meet new people and travel. I don’t think I would have even thought of these things 5 years back!